As one of the victims of Lake Shiraz (family has a vineyard) I thought I’d volunteer one of my ideas for the marketing of Australian wine. I have previously criticised Fosters for a lack of innovation in wine marketing. Strangely, they are not yet a client. 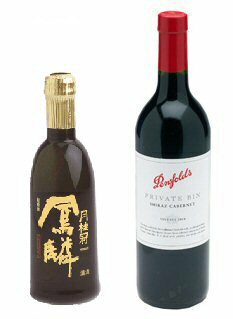 It’s well known that Asian consumers like their wine sweet. It’s also the case that there is a huge market in Japan for sake, a rice wine served hot. So a culture for drinking hot wine already exists. The discussion about sake in Japan parallels the wine snobbery that exists in western cultures. By which I mean, people appreciate the intricacies of the product. Mulled wine is a delicious hot drink. Normally you make it by adding sugar, cloves, cinnamon and fruit to a dry red wine. Why don’t we manufacture such a drink, describe it as Australian Sake and launch it into the Japanese market? Stay tuned to this blog. Next month I rescue the French language, the U.S banking system and the Fijiian Dairy Industry. I think there is already a brand of sake made in Australia. Go-shu. Go is an abbreviation of Australia. I am not sure though if you can buy it easily in Japan. Selling mulled wine to traditional sake drinkers would not be easy. It could be popular amongst younger women, especially during the winter months. Yep, you’re right. Go-Shu is made by a Japanese company with heaps of experience in sake brewing. sun-masamune.com.au. It’s made in Sydney but you can order it from their web site.